TerraModus Surveying performs all types of cadastral surveys, in urban, rural and remote areas of Far North Queensland. A cadastral (land boundary) survey defines the limits of your block of land and defines the interests and sub-interests (such as easements, leases and covenants) in a piece of land. Survey pegs (or other survey marks) are placed to show the location of the property corners. Cadastral surveys are regulated by the Survey and Mapping Infrastructure Act 2003 and its regulations and standards. Boundary surveys can only be performed by Cadastral Surveyors registered to do so with the Surveyors Board of Queensland to ensure the integrity of our land administration system (including your land boundaries) is maintained. We can also perform Volumetric Surveys, Covenant Surveys and Profit a Prendre Surveys. TerraModus Surveying performs all types of engineering surveys and our business is well qualified to provide quality and timely survey solutions in urban, rural and remote locations throughout the Cairns region and Far North Queensland. Australian Height Datum (AHD) Level Surveys are performed to transfer an AHD level from a published known mark to a parcel of land. This type of survey is utilised to ensure buildings are built above certain flood levels as specified by Council. An as-constructed survey locates all items constructed on a property and is usually performed to demonstrate the items have been constructed in accordance with the approved design. These surveys are performed soon after the construction is completed and are common for land developments, such as new estate subdivisions, to demonstrate the infrastructure constructed (like roads, water pipes, sewers) meet local government requirements. Monitoring surveys are used to detect movement, either horizontal and/or vertical movement. We can assist with all monitoring surveys such as monitoring wells where the top of the well casings are levelled from known published AHD marks. The well locations are measured and coordinates provided. We also perform Control Surveys, Global Navigation Satellite Systems (GNSS) Surveys. Set-out surveys are used as a guide for construction and involve placing marks (i.e. pegs, stakes, nails in concrete) where structures, such as houses, are to be built. 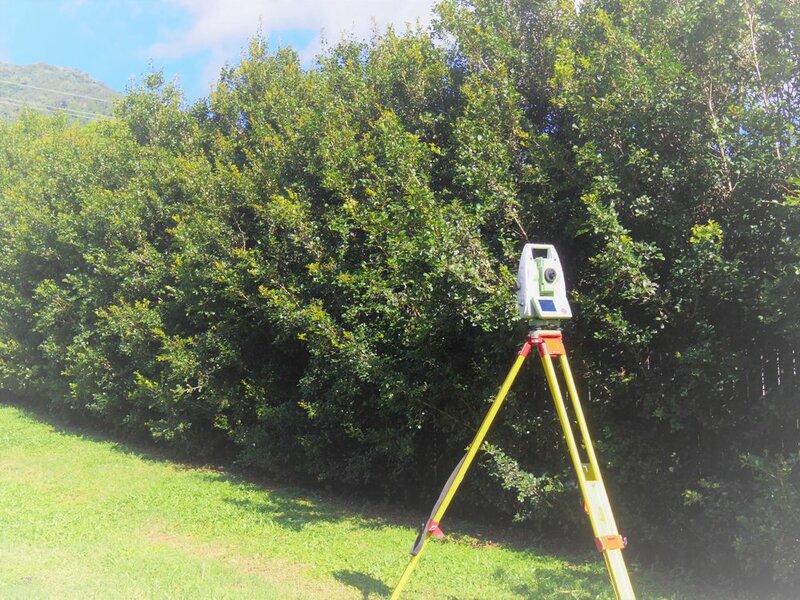 TerraModus Surveying provides professional, friendly and cost-effective land surveying services throughout Far North Queensland. We perform surveys throughout the Cairns region and all of FNQ including, but not limited to, Ingham, Cardwell, Tully, Innisfail, Kuranda, Mareeba, Atherton, Port Douglas, Mossman, Daintree, Cooktown, Cape York and the Torres Strait. TerraModus means "earth measurement" and that is precisely what we as surveyors do.